The ACE Studio is one of the most famous recording studios in Belgium. It is situated in the village of Aartselaar, 8km from the city of Antwerp. ACE opened its doors in Aartselaar in 1986, yes now 33 years ago, and since, a big part of Belgium’s music history has been written over here! Although Aartselaar is a small and cosy village, it has ample restaurants, pubs and shops. The studio has an excellent sounding recording room which can hold up to 40 musicians. The control room has all the outboard gear you would normally expect from a state of the art studio. 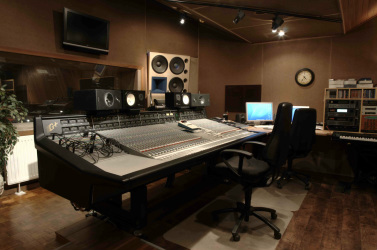 Both recording and control room are fully and silently airconditioned. One of the things our clients keep coming back for is the studio's atmosphere. You feel right at home, having a large garden, complete kitchen and TV room with bar at your disposal. We’ll always strive to quote the best possible budget for your production, small or big, you’ll get the best Price-Quality relationship at ACE. This all makes the ACE Studio an ideal environment for creative people. © 2019 ACE Studio. All rights reserved.